Yealands is a winery in the southern region of Marlborough, called the Awatere Valley in New Zealand. It was Peter Yealands dream to open the world’s most ecologically advanced winery. 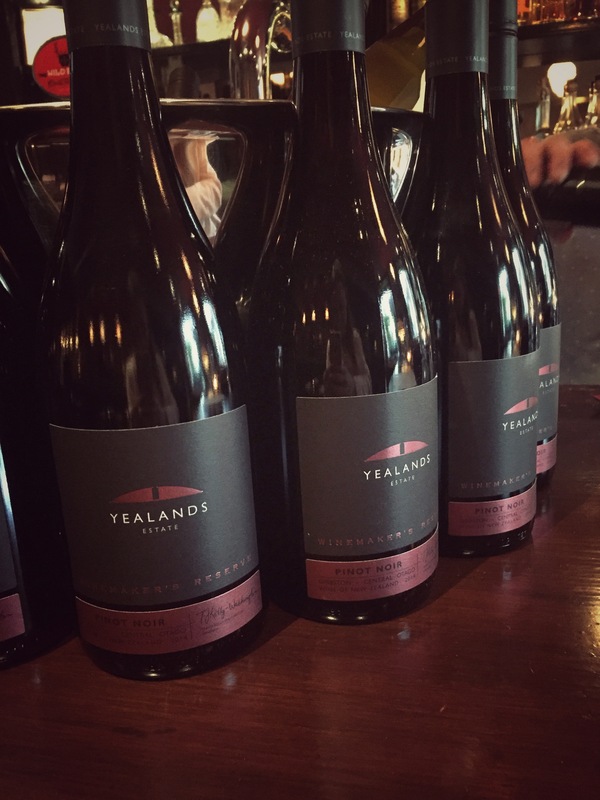 Devoted to the concept of 100% sustainability, Yealands has been making award-winning wines with no carbon footprint for many years now. So how are they sustainable? In a number of ways; firstly during the winter months they collect vine prunings from the Yealands Estate vineyard and bale them to be burnt for energy in two specially installed burners in the winery. They are the only New Zealand winery to use these burners as an energy source. Approximately 10% of the grapevine prunings are baled and then seasoned for up to 6 months, to ensure they burn cleanly. This process eliminates over 180 tonnes of greenhouse gas emissions (CO2) per year. Secondly, they have Babydoll sheep and Kunekune pigs to graze amongst their vine rows. But how do they prevent them from eating the grapes? Basically they can’t reach them! This allows the winery to let the animals graze all year round without restriction and the vines benefit from natural fertilizer. Thirdly, they use different sources of renewable energy, so they can generate enough energy to become totally self-sufficient. As well as using solar panels, they also use wind turbines. 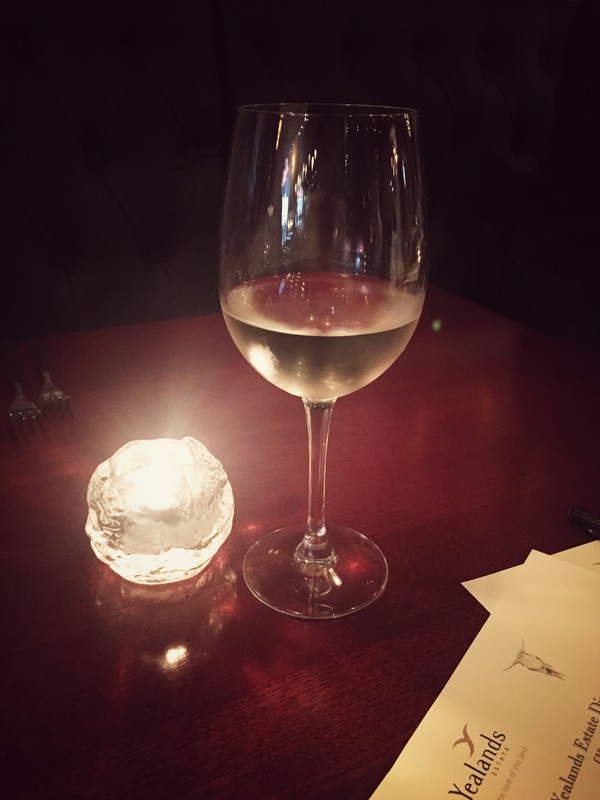 My favourite restaurant in Cheltenham, The Ox, proudly serves its loyal clientele wine from Yealands and has collaborated with the Yealands representative Helen to teach us more about their fabulous wines alongside a 5-course meal to compliment. So what did the menu consist of? 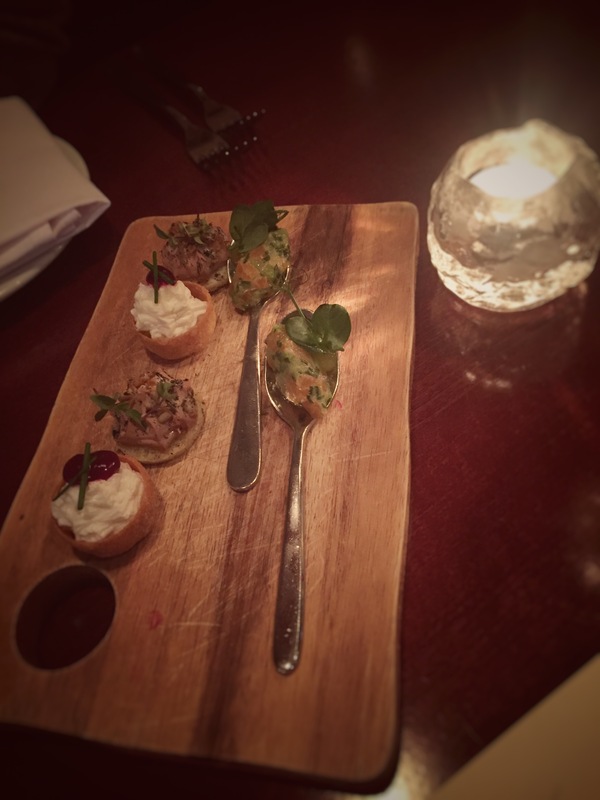 Starting with canapés and a PGR wine. 50% Pinot Gris, 30% Gewürztraminer and 20% Reisling blending wine. A very light wine that perfectly compliments the smoked trout, goats cheese moose and Chicken Liver Parfait canapés. 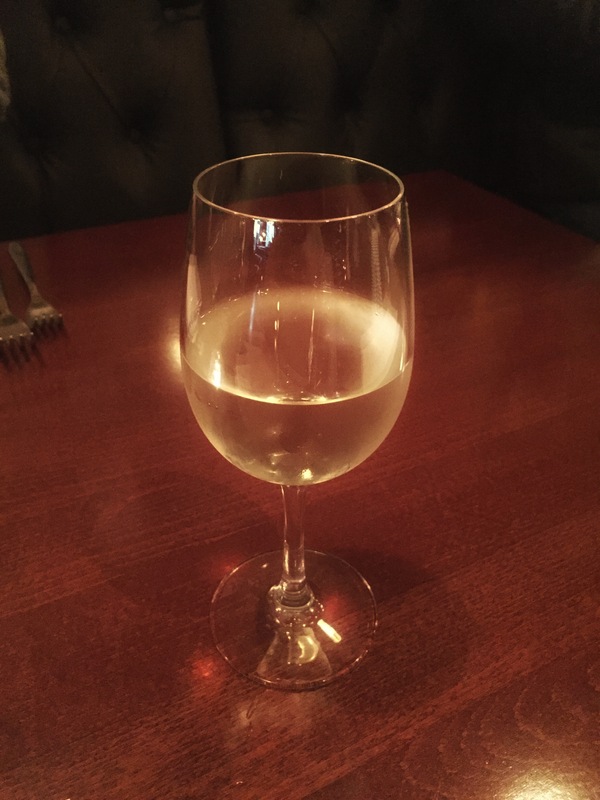 This is the first blended wine from New Zealand, with notes of lychee and pear, with underlying flavours of lime and mandarin, with a touch of spice and ginger. 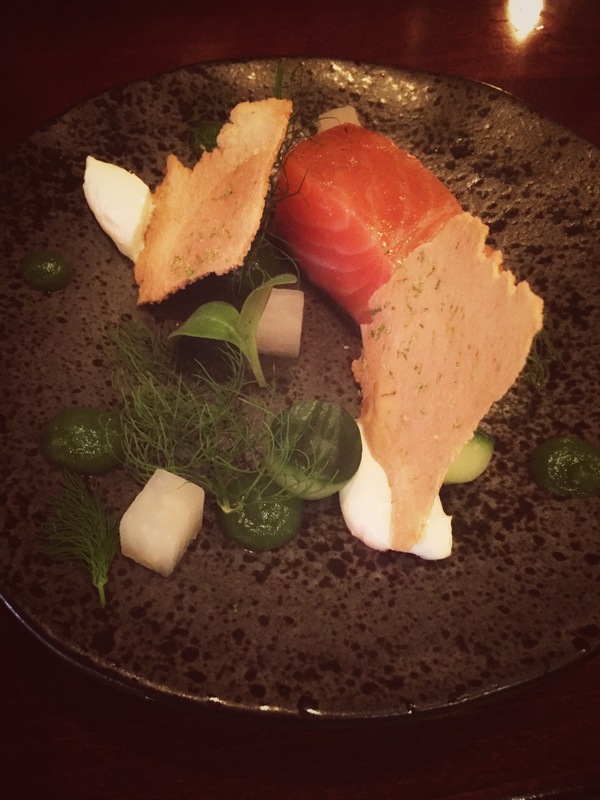 We then go on to the starters; an Ox smoked salmon, cucumber and wasabi yoghurt with Yealands Pinot Gris. With tropical notes, this is 3% made in French old oak barrels after being de-stemmed and gently pressed. We are taught that in Marlborough, they experience sunny days and cool nights which help produce the perfect ripening conditions leading up to a successful harvest. Due to these conditions, the valley is exposed to some tough growing conditions which can produce smaller, thicker skinned berries with intense fruit flavours. This Pinot Gris is grown on a sheltered north facing slope within the sea-view vineyard. 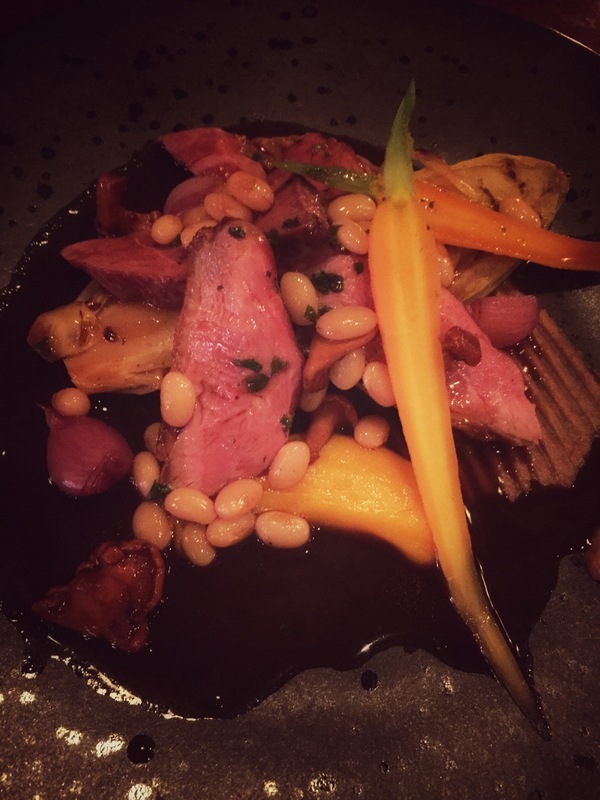 Our main was an earthly dish of duck, served with a hazelnut purée, orange, white beans cassoulet served with the Pinot Noir Reserve. With notes of cherry and spice this went really well with the duck. This was the only red wine on the menu, and Yealands actually only make three red wines, but this is different. They buy these hand-picked grapes that are grown 500 metres above sea level. We have been informed that this dish will be added to The Ox’s menu. 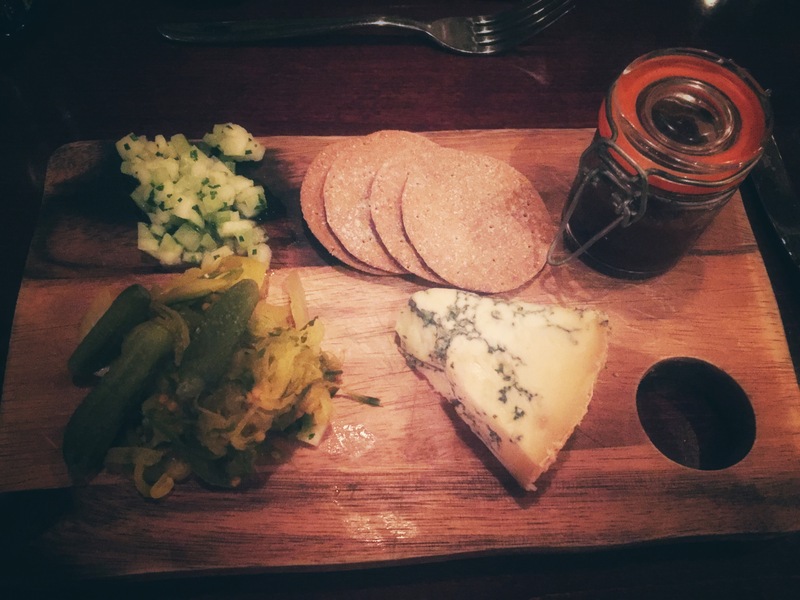 Our cheese course was Colston Basset, homemade pickles and tomato chutney served with Gewurztraminer. with this wine you are really challenging the flavours, we are told to try this first on its own, to appreciate the flavours. With ten grams of sugar, this is a sweet dry wine with smells of turkish delight. If I am honest, there was a mixed reaction in regards to the cheese. As a cheese lover, I was not sold on the Colston Basset, but the wine certainly helped the flavours, taking away the sharpness of the cheese. 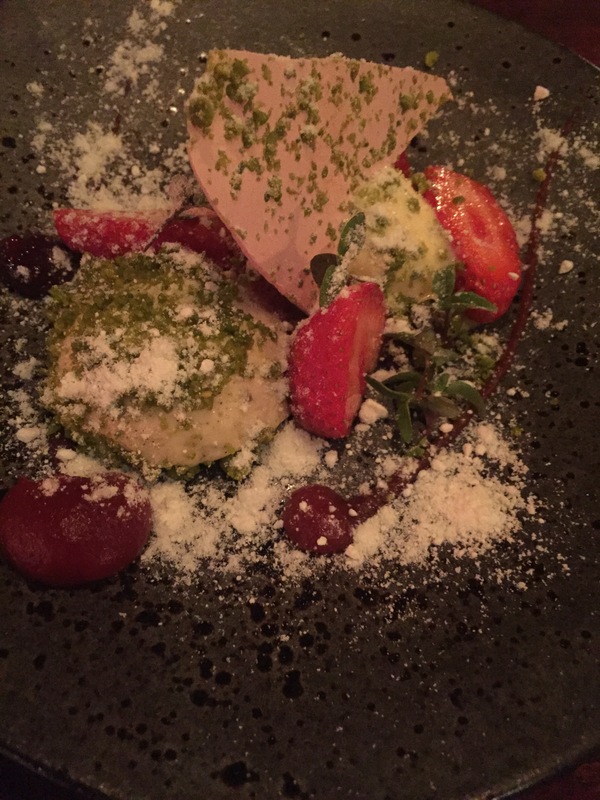 The final course for dessert was strawberry, pistachio and black pepper parfait with a Noble Sauvignon Blanc. 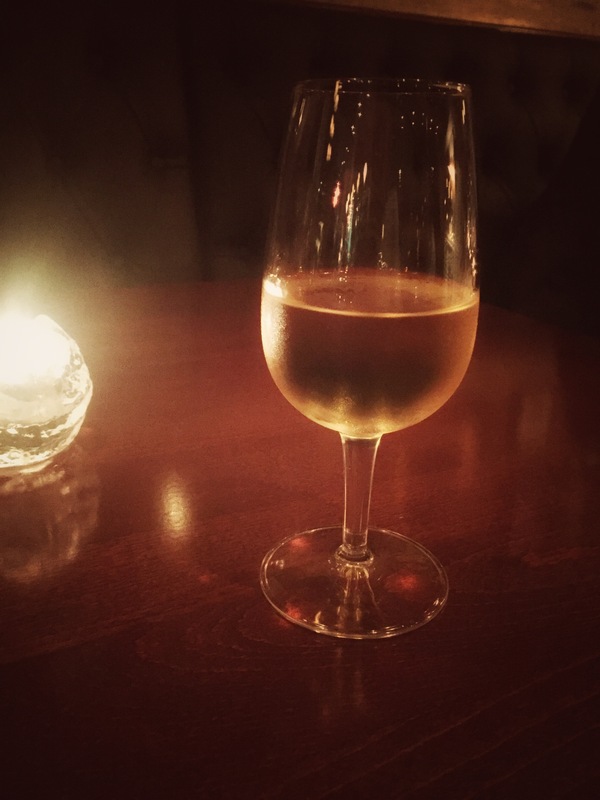 This wine had aromas of mango, honey and apricots. I am not a massive lover of dessert wines as they can be quite heavy, however I really liked this wine with 150 grams of sugar & 100% dry wine. Only 100 cases of this wine were made and it is only available in the UK and sold exclusively to Yealands customers. I highly recommend this to finish off your meal at The Ox. 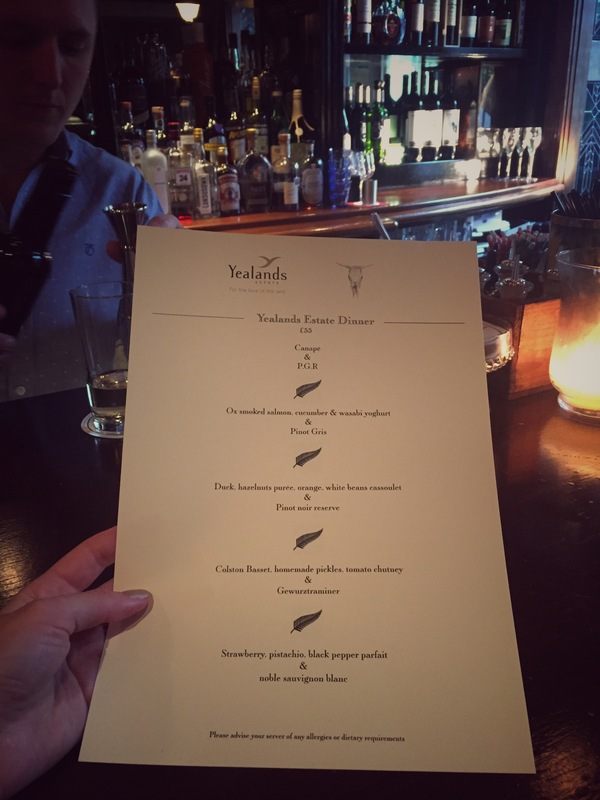 Thank you to The Ox and Helen from Yealands for hosting this event, it certainly has introduced new flavours to my ever growing palette. I am looking forward to The Ox’s next event.